When life becomes difficult, when emotional distress or mental illness becomes a challenge, Siouxland Mental Health Center is here to help. Each individual receiving services is recognized and respected throughout the provision of services. Our philosophy is that consumers are in charge of their own treatment. Center staff serve as facilitators of change. We have been making a difference in our community since 1970 by providing quality mental health services to the Siouxland area. The center's comprehensive range of services meet the mental health need of children, adolescents and adults and adults. Our center has a long history of offering programs that facilitate an increased level of functioning. All services provided are confidential. At your first visit, it is best to arrive early to allow time for the completion of paperwork. It is also helpful for you to bring a list of all medications you are currently taking. Our staff will generate the necessary claim form for submission to your insurance carrier. We request that you bring your insurance card with you at the time of your first visit. Therapy services are provided by staff with a Master's degree in Social Work (MSW). After graduation, a MSW Degree provides two years of supervised work in order to qualify for the state licensing examination. Additionally, all MSWs are required to adhere to a strict code of ethics. Therapy services are available for individuals, families, or groups. Psychiatric evaluations, assessments and medication management are provided by the center's psychiatry department. After graduation from medical school, psychiatrists complete residency programs to specialize in psychiatry. 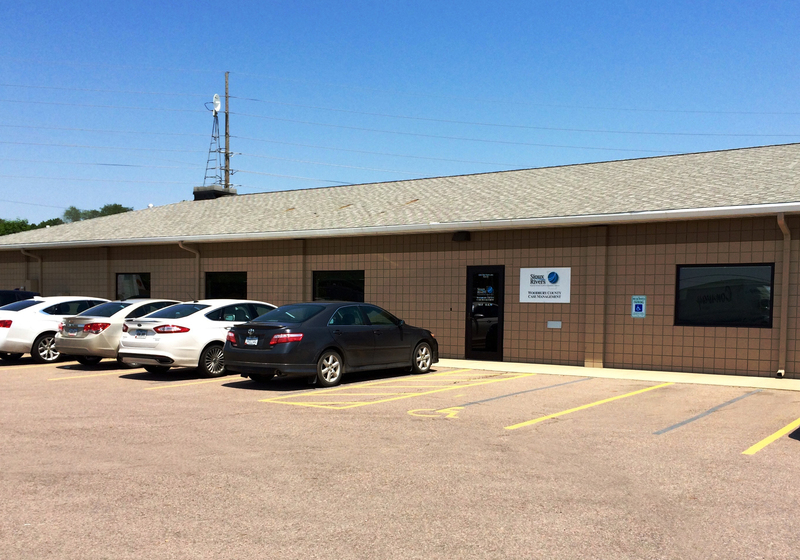 All psychiatrists at Siouxland Mental Health center are licensed by the State of Iowa. Siouxland Mental Health Center has staff on call for emergency situations. They are trained to help avoid a disaster, and either treat or direct you to the appropriate services. Facilitating the integration or re-integration of the individuals into the community is the goal of this program. Individuals with a diagnosis of a chronic mental illness may be eligible. Each consumer in the program has their own Community Support Specialist who facilitates the delivery of services. Case Management services facilitate the consumer's access to utilization of necessary services for those individuals with a diagnosis of either mental illness, mental retardation, or a developmental disability. An individual comprehensive plan is developed for each consumer, with an emphasis placed on consumer empowerment. This is a highly structured program designed to help persons with serious and persistent mental illness attain success in one of the following four environments: living, learning, working, or socializing. Rehabilitation practitioners facilitate the process. Friendship House offers those with mental illness an opportunity for emotional growth through socialization. Operated as a club, individuals must apply for membership. Lunch is served Monday through Friday. This program facilitates the improved functioning of children or adolescents who have a serious emotional disturbance which may result in an out of home placement. Through intervention, the goal is to keep the families intact. Project Restore facilitates the reintegration of homeless individuals with mental illness into the community. Criteria include individuals who are homeless with no entitlements, have a diagnosis of a chronic mental illness and have a documentable need for services. These services are provided at no cost through a federal grant from the Department of Housing and Urban Development. Siouxland Mental Health Center has staff available to speak with your local service club or religious organization. We consult with juvenile court, attorneys, medical staff and schools to facilitate the highest level of client care. Programs are available to groups on specific areas, such as stress prevention, parenting, personal relationships, child development and medication, or a general overview of the center and services provided.